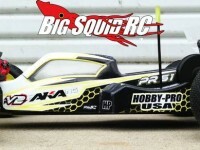 hobby-pro usa « Big Squid RC – RC Car and Truck News, Reviews, Videos, and More! You are browsing the "hobby-pro usa" tag archive. Our friends from Hobby PRO USA website for details and sales. Is it Friday already? It really just sneaks up on you!